Steven Gerrard is obviously an ambitious man who knows exactly what is required to succeed at the top and anything less than a winning mentality won’t do for him. The players will also adore playing for such a football legend and that will attract better players to come to Rangers as he builds something special at Ibrox. 19-year-old George Johnston is a left-sided centre-back who has a good engine and loves to get up and down the left flank. He is a Scotland youth international and has become a member of the Reds U23’s squad. 18-year-old Rhian Brewster is a top striker who last October played a major part in the England U17’s team who won the World Cup in India. He finished the tournament as the top scorer with eight goals. He damaged his right ankle in January and will soon be recovered from his injury. 19-year-old Nathan Phillips is a commanding centre-half and after an assured Premier League 2 debut during a recent meeting with Man U, he has put himself in contention for a regular place in their U23’s side. Perhaps working with Gerrard & McAllister at Ibrox might be a better solution for him to finally be good enough for the Liverpool first team. 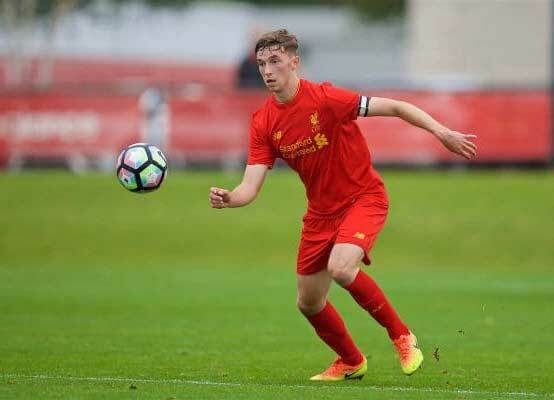 19-year-old centre-back Conor Masterson is from Dublin and a former captain of the Liverpool U18’s team. He is a ball-playing centre-back who is an excellent passer and can also step out comfortably with the ball at his feet. Klopp knows he can trust Stevie to take care of the young Liverpool players, and continue with their steady progress in the game. They will get his full attention during training with the first team squad and hope that they can be good enough to force their way into the Rangers side playing in the SPL next season. Hope we're not being used as an academy for developing Liverpools youths !!! 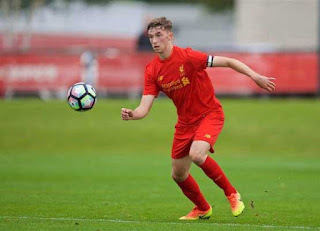 Harry Wilson out on loan at Hull 21 yo, he's dynamite Mate!! who takes the credit for bringing Stevie in,King? We need to get perm signings and no more than 2 or 3 loans. If we are to progress and challenge we would only be increasing the value of other club’s assets. I hear our investors will be Fenway Sports from the US, parent company of Boston Red Socks and Liverpool FC. jist thinking to myself there, to all those talking about his lack of experience, pedro won titles had loads of expereince ffs? counted 4 f**kall.